When was the last time that you worked without your cell phone? Yeah, I don’t remember either. Rather you are using your phone for listening to your favorite playlist during cardio or looking up and trying new yoga moves, your phone is there for you every step of the way! So why not be there for your phone as well? Corning® Gorilla® Glass 4 helps to keep your phone from being ruined after bad falls. And believe me, I know a lot about destroying cell phones by mistake and I do not want to go down that road ever again. Everyone wants their phone to be everything that they have ever dreamed of, and then some. We want our phones to be sleek, light, good to look at and to have top of the line performance. With more mobility, everyday hiccups do happen. Gorilla Glass 4 provides better than average damage resistance! So feel free to whip out your phone and no worries if you drop it. Gorilla Glass 4 is focused on improving damage resistance against all elements that are out to get your phone including asphalt and concrete (my two worst enemies). Gorilla Glass 4 is the toughest cover for glass out there to date. It performs twice as good as any other competitive glass designs. During testing, Gorilla Glass 4 survived up to 80% of the time when a device was dropped from 3 feet high. I am a klutz. Growing up, I was every parent’s nightmare. I always wanted to be out with friends but because of my naturally spastic behavior, my phones were always dead and gone before the new phone smell wore away. Fast forward 10 years and I am no better with my phone. I recently purchased a brand new phone (one of the best ones out there!) and only 2 weeks after I unwrapped it from the packaging, I was headed back to the store to have the screen replaced. It cost an arm and a leg to get it fix and I sore to myself that this would not be happening to me again. So I got Gorilla Glass 4 (it was recommended) and I haven’t been happier with my phone since! I’ve probably dropped my phone a million and 2 times and no cracks! Gorilla Glass 4 & Me! I love using my phone for workouts! 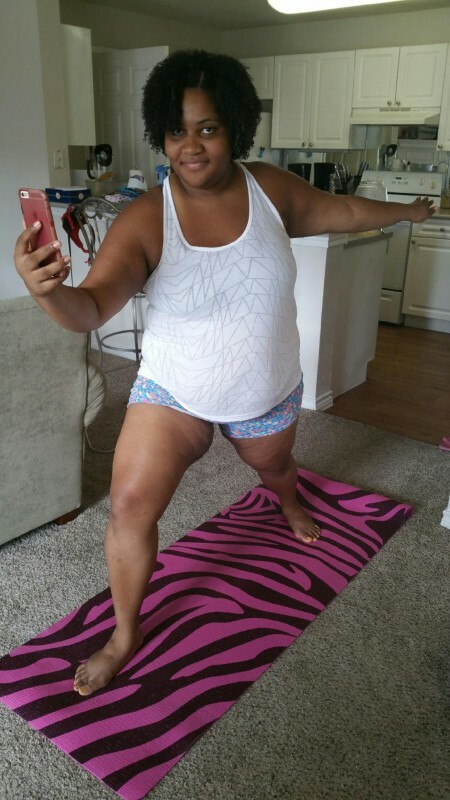 In the morning, I like to wake up easy with a relaxing yoga session. Being that it is the morning, I don’t always remember the exact poses. That is one of the reasons why I have my phone! It is perfect for looking up my favorite poses, quickly. Gorilla Glass 4 really allows me to feel confiedent that my phone won’t crack if I were to drop it. So I can focus entirely on my workout. Gorilla Glass 4 is great for anyone, especially those that live an active lifestyle. 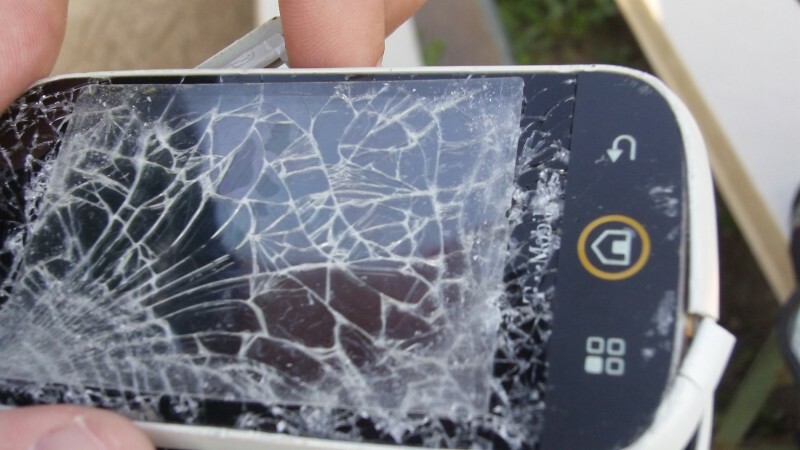 The last thing you want to worry about on your next run is your phone falling and breaking. Take the worry out of everyday life and get Gorilla Glass 4 for your device. 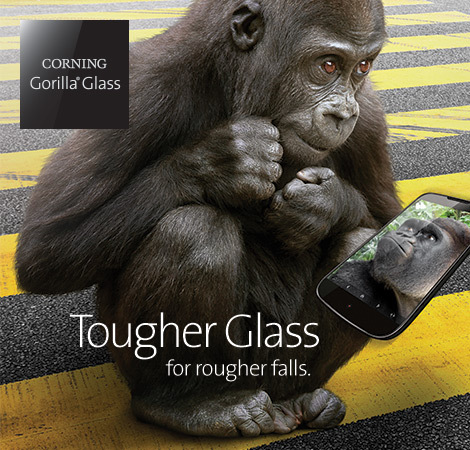 This is a sponsored post on behalf of Corning’s Gorilla Glass. All opinions are 100% my own.